Passover is one of the most important Jewish holidays, a seven-day springtime festival commemorating the liberation of the Ancient Israelites from Egyptian slavery to freedom. It also happens to be one of my favorite holidays because of the incredible food and family traditions it inspires. Each year, I celebrate the holiday on my website with a unique annual event called The Passover Potluck. I’ve invited my friends, both Jewish and non-Jewish, to share recipes that are kosher for Passover. The goal of the Passover Potluck is to foster mutual understanding between different cultures, to introduce you to my foodie friends, and to share yummy recipes and cooking ideas for Passover. 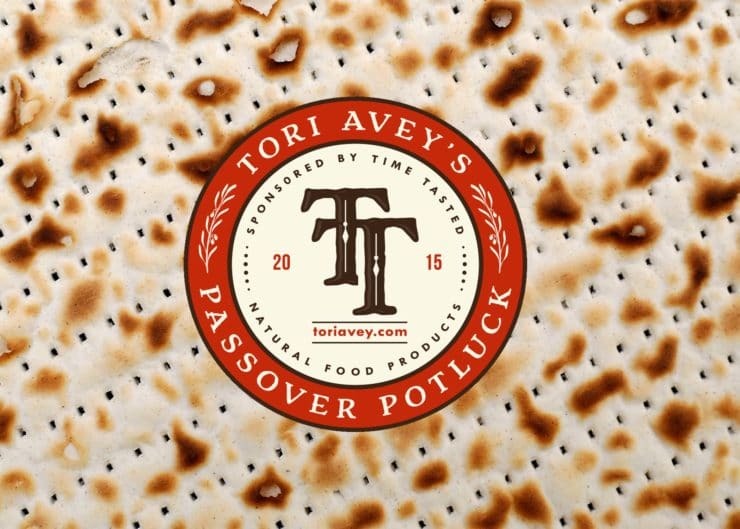 I’ll be linking up the 2015 Passover Potluck recipes to this page as they go live here, so stay tuned! Meanwhile, follow my Passover boards on Pinterest, where I’ll be pinning lots of delicious ideas over the next two weeks. And don’t forget to follow this year’s Passover Potluck on Facebook, Twitter and Instagram with hashtag #PassoverPotluck. Share your holiday cooking photos using this hashtag so we can all celebrate the Seder together! New ideas posting every day, starting March 23. Can’t wait! Discover my super amazing guest bloggers by checking out the links below! What are you cooking for Passover this year?